Customers shopping in Hudson may run across bright orange signs with the word “Library” emblazoned in white during their visits to area stores this summer. 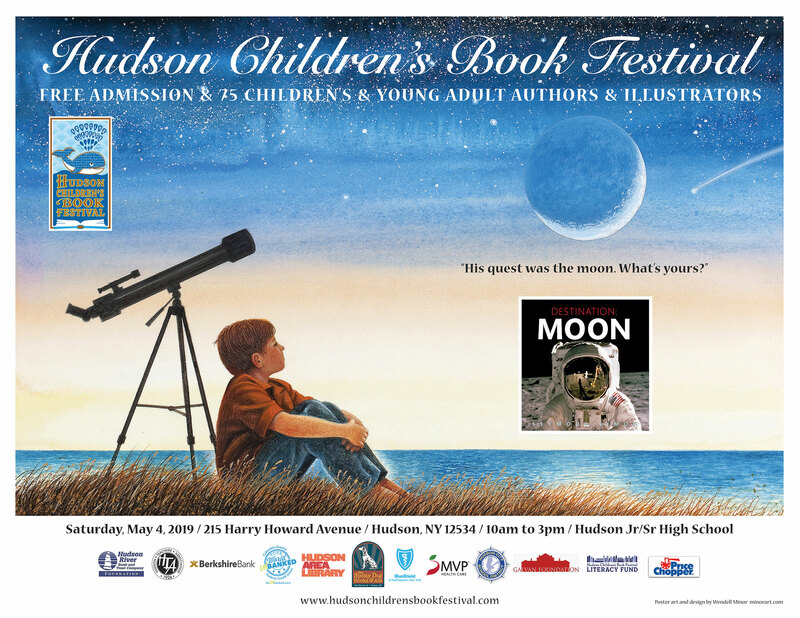 The campaign for the Hudson Area Library has reached out to select retailers and asked them to help get the word out. 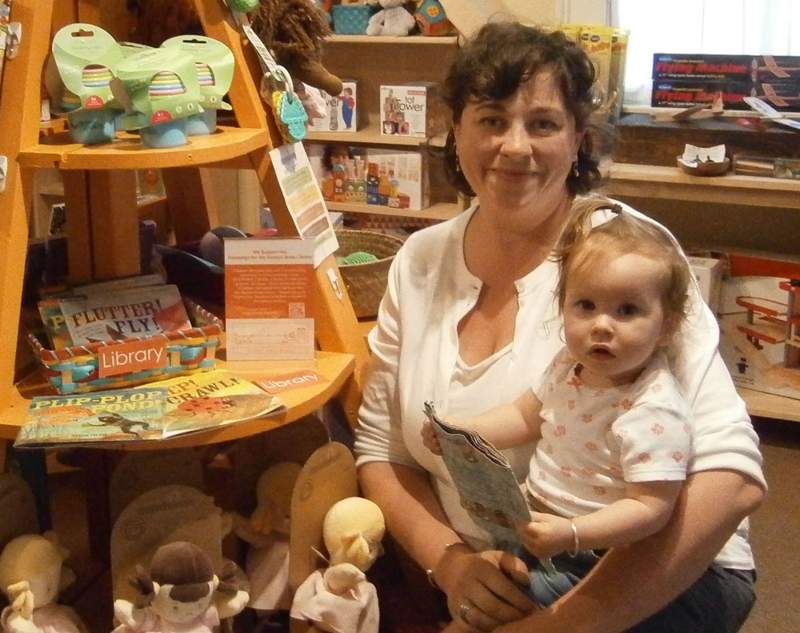 Amanda Hummel, owner of The Bee’s Knees, and daughter Inez Solomon, are participating in a new promotion to spread the word about the Hudson Area Library’s fundraising campaign. Three other retailers are also taking part – Olde Hudson, TK Home & Garden and Verdigris Tea & Chocolate Bar. 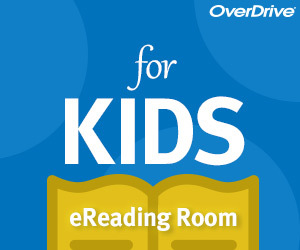 Kick off the summer with a great eBook or audiobook download, thanks to OverDrive’s Big Library Read! The Big Library Read is sort of like the digital version of a library book club, in that everyone is encouraged to read the same book. This summer’s Big Library Read will be A Pedigree to Die For by Laurien Berenson. This eBook will be available for unlimited simultaneous downloads from June 3 to 18, which means no holds and no waitlist; just download and enjoy! 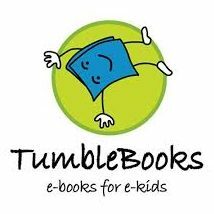 All you will need is an active library card to start downloading, so visit the Mid Hudson Library System’s Digital Downloads site for instructions on how to get started after June 3rd. 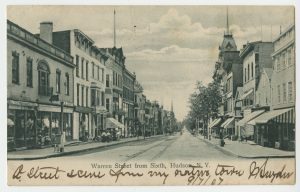 Thank you to Mary Beth Wenger and the many community members who joined us on Saturday, May 17 for the second presentation of the Hudson Area Library History Room Committee’s Local History Speaker Series. Wenger shared her personal journey of exploring her own family history and in particular learning more about her grandmother through her collection of recipes and stories from family members. 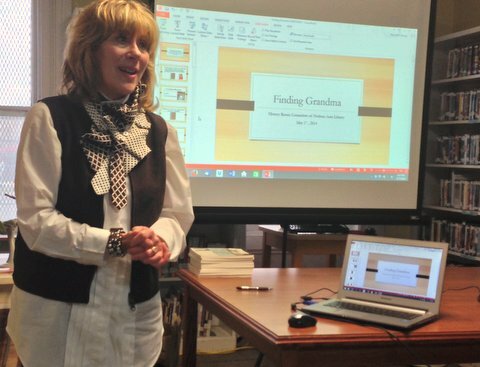 Her book, Finding Grandma: A Sentimental Journey Through 1920s Columbia County Recipes is available to borrow through the Hudson Area Library. If you didn’t get your signed copy of Finding Grandma at the presentation, there are still some books available for purchase. 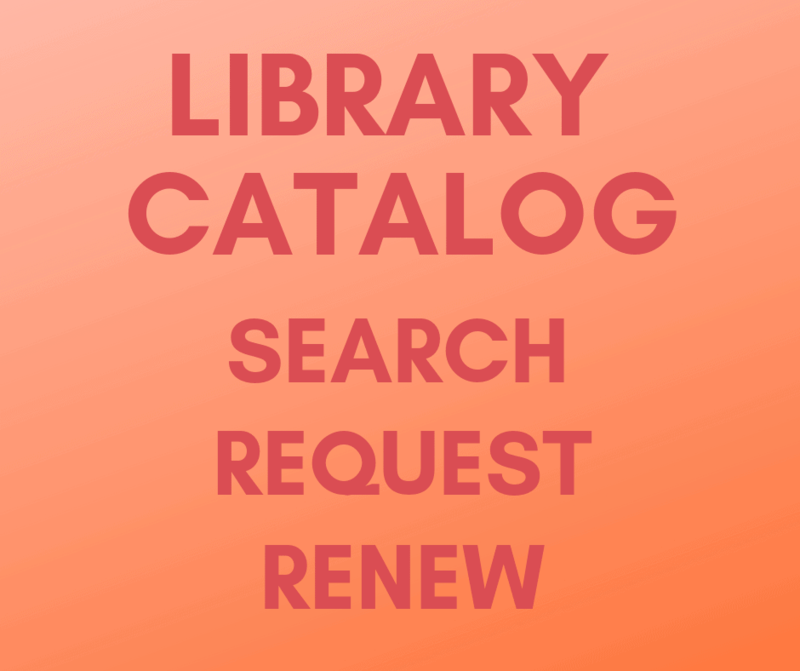 Please call or visit the library to get your copy. The Hudson Area Library Book Club meeting that was scheduled for this Thursday, May 22nd has been postponed until Thursday, June 19th at 3:30pm. They will still be discussing The Invention of Wings by Sue Monk Kidd at the library. If you would like to join them, you may order a copy of the book on our online catalog, or call the library at 518-828-1792.